January is here, which means it’s time for New Year’s resolutions. It’s not our fault that the cold winter months have us craving comfort food (hello, #sweaterweather), but luckily there is a way to stay on track without sacrificing delicious dishes. We’ve rounded up a few healthier alternatives to some of your favorite foods to try in our restaurants so you can indulge guilt-free this year. 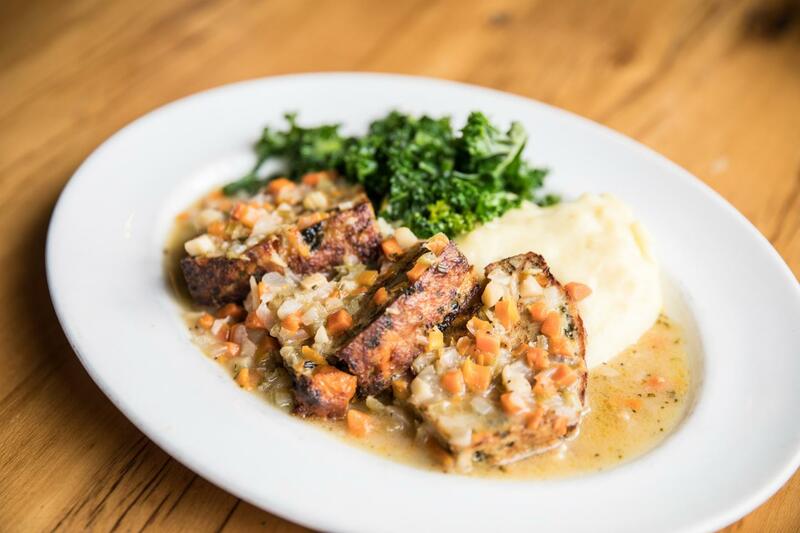 The restaurant was built on the notion of “healthy meets delicious” so it’s no surprise that Beatrix has crafted up healthier alternatives to this savory comfort food: meatloaf. Try the “Neatloaf” made with turkey, sweet potato and greens. Packed with lean meat and healthy greens, this cold-weather comfort is full of flavor and a great way to fuel up. Make a reservation at Beatrix River North. The food that late night eating dreams are made of: pizza, of course. 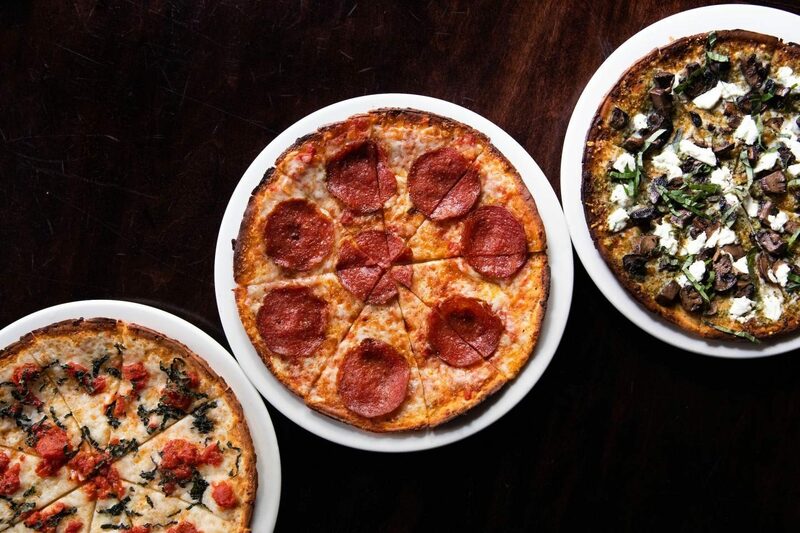 Cut the carbs and opt for cauliflower crust pizza at Wildfire. This new menu item is available at all Wildfire locations and can be ordered with a variety of toppings including Wild Mushroom & Goat Cheese with watercress pesto and asiago, or a classic like the Fresh Mozzarella with fresh tomatoes and basil. Find a Wildfire near you and make a reservation. If you’re not ready to give up carbs completely, check out Stella Barra’s thin sin pizzas. They are made with a light, crispy crust that is just as satisfying as the real thing. When that sushi craving calls, you’ve got to answer! At Sushi-San, check out the “Hold the Rice” section and enjoy signature maki rolls, sans the rice. 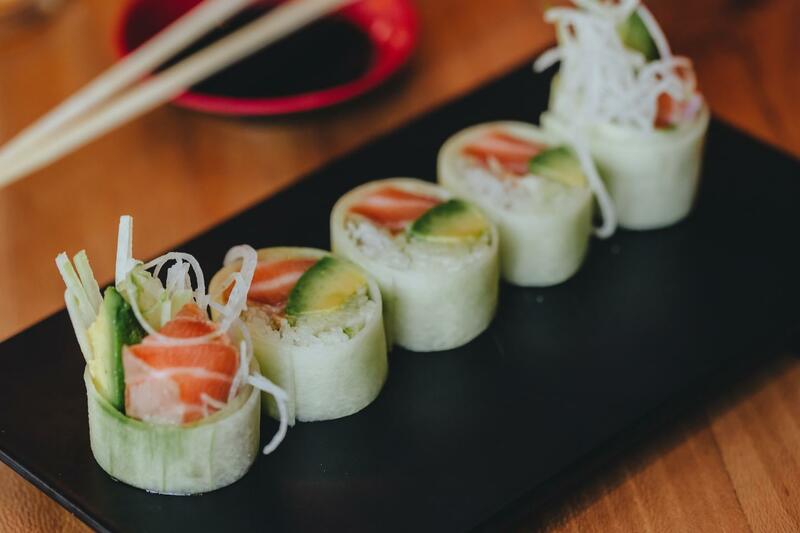 The Zuke Salmon and Yuzu Crab rolls come wrapped in fresh cucumber, and if you want to wash it all down with some sake, we won’t tell. Make a reservation at Sushi-San. The feel and flavor of a burger with NO meat… say WHAT?! 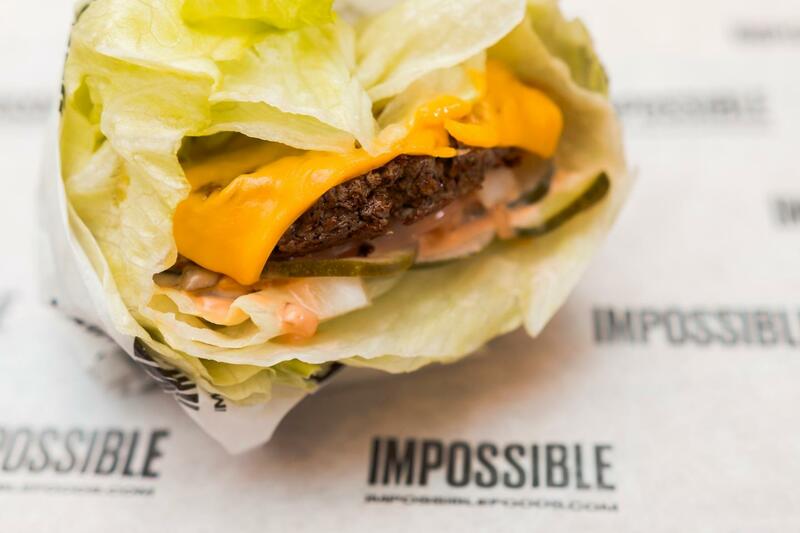 M Burger introduced the Impossible Burger to Chicago giving vegetarians and vegans a seat at the burger table. Whether you’re doing Meatless Mondays or just trying to limit your meat intake, the Impossible Burger is a great alternative. Go one step further and make it Salad-Style to get your sandwich wrapped in lettuce for an even lighter option. Find the M Burger location nearest you. Don’t forget dessert! 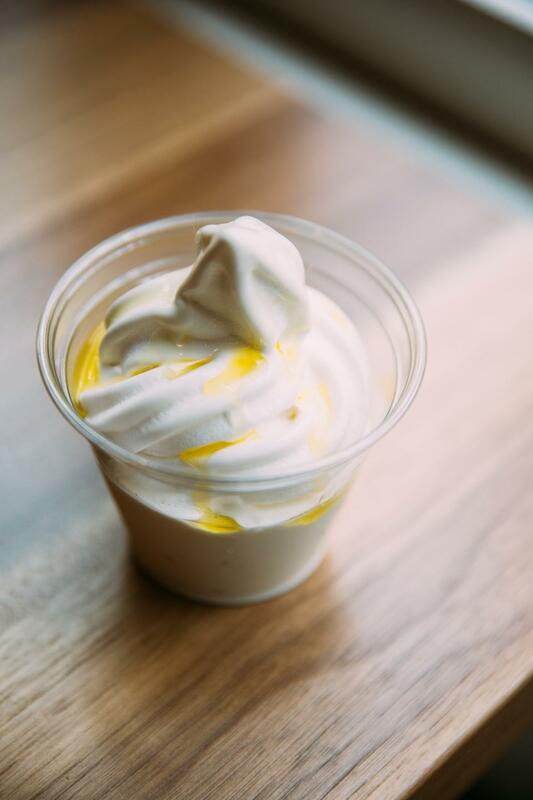 Sweets can be the hardest temptation to resist when setting dietary resolutions, but Ema’s Frozen Greek Yogurt packs all the flavor with less guilt. This indulgent dessert is drizzled in olive oil and topped with a bit of sea salt for a creamy cap to any meal. Make a reservation at Ema here. Make a reservation at Aba here. Now that you’re in the know about these dishes, we hope we’ve helped to guide you in ordering just a little bit healthier next time you dine out! If you’re looking to sip on delicious drinks sans the alcohol, here are a few of our favorite mocktails, plus recipes for making zero-proof cocktails at home! In the mood for a salad? Here are a few of our favorite salads to try in the restaurants.